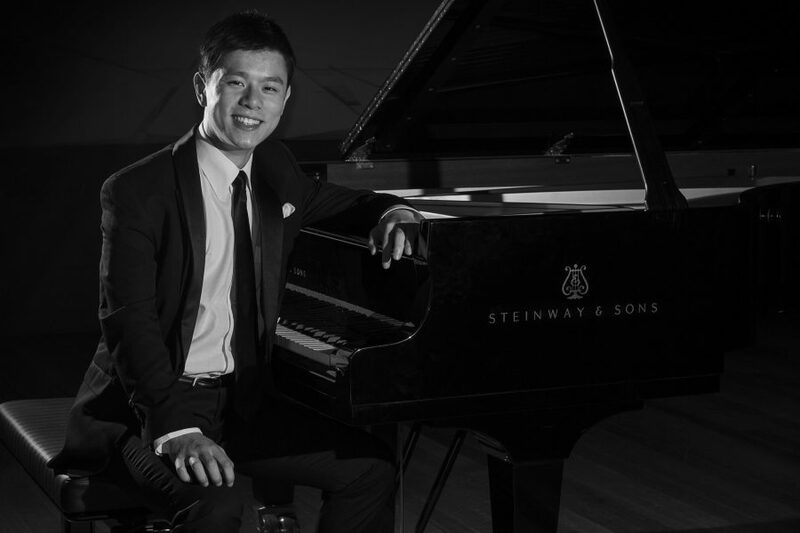 James Zong is a classical pianist studying a Bachelor of Music / Bachelor of Laws double degree which allows him to combine the expertise, skills and knowledge of a law degree with training in the entertainment and music industries. 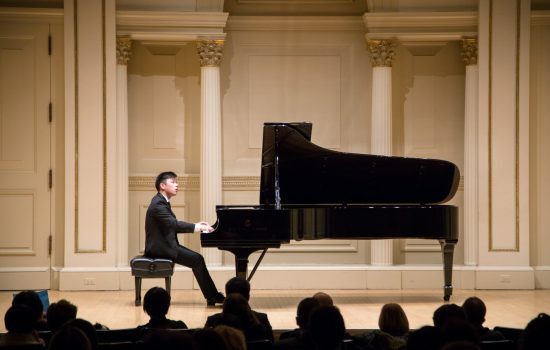 He recently performed at Carnegie Hall after winning the East Coast International Competition in America. You started playing piano when you were four, did your parents encourage that? Of course they did! I didn’t know what music was back then! In retrospect, I was very fortunate because mum and dad weren’t exactly the wealthiest parents, but they wanted to give me an opportunity to at least give it a try. They never got to learn music themselves because of the Cultural Revolution in China. The piano in itself was a massive investment. I think it cost them over $5000. That was big money considering their income at the time. Add lessons on top of that and it sure does gets quite expensive. So I was very lucky to get started. It was only natural that they would push me a little bit and encourage me to keep going. I probably began to enjoy playing the piano around the time I started high school. My passion for the instrument had truly taken over by then; my parents were no longer the ones pushing me. Quite ironically, they ended up asking me to practise less and do more homework instead! But I wasn’t going to give up on the piano – not that easily! You recently performed at Carnegie Hall. What was that like? I ended up winning a performance opportunity at Carnegie Hall in the Weill Recital Hall. My girlfriend, who also studies Music at Monash, told me about the East Coast International Competition – she had done it the previous year. She said it was a great competition to get some overseas exposure and she encouraged me to give it a shot. And what a remarkable result! I was very surprised at the time. I didn’t think I’d score that well. When I went to New York, I loved it, the whole experience. I just thought, “Wow! How could this be happening? It’s so surreal.” Amazing things can sometimes happen when you least expect it to. But you’ve put in so much hard work over the years! I wouldn’t say it’s always hard work. I’d say that sometimes your love for it just takes over. It’s no longer work when you love what you do. Although sometimes you do have to persist and grit it out. From time to time, you’ll get “feedback” from people – the critical ones – but they might just be the ones to push you to places where you didn’t think you could go. There have been times when I could have done better, and the lecturers and professors at Monash will tell you that – they are very honest. They won’t ever put you down, but they will always be straightforward with you and keep pushing you so that you get to where you should be. You always get to put your best foot forward. And that’s why I love Monash. When you were in high school, did you know that you were going to pursue Music at Monash? When I was applying to all the music institutions, I treated it as though it was a two-way street. Of course the university is always looking for the students they want to take in, but I was also looking for the institution that would suit me best. I was sure that I wanted to study Music at Monash after that ten minute interview during the audition. The potential double degree opportunity with Law was a massive bonus too. I had never been to the Clayton campus before the audition, but I made my decision that day to enrol at Monash. Even though it’s more than a forty minute drive away from home, this is where I wanted to be. I didn’t even have my driver licence when I started, so it was an hour and a half bus ride each way. Not exactly an easy commitment in my first year, but it’s worth it when you love the place. What have been your most significant achievements in your time at Monash? The most meaningful achievement so far is being awarded the Jascha Spivakovsky Prize. It’s a $1000 prize generously donated every year by Michael Spivakovsky, the son of Jascha. It’s something big within piano at Monash. It’s so much more than the prize money – it’s the connections you make, it’s the advice that you receive. After winning that prize, I was lucky enough to meet Michael Spivakovsky himself. He’s an incredible gentleman. He’s an architect and a reputable piano teacher on the side. I see him as a role model in that respect because I’ve got that music and law degree – it’s in that fine balance between the two. He’s incredibly wise. The Cengage Western Music Theory prize was fun. Theory was surprisingly one of my favourite and strongest subjects at Monash. I really enjoyed the theory units taught by Associate Professor Thomas Reiner. Incredibly nice and funny guy. He teaches theory very well too by the way. Again, it’s about the recognition – that’s more important than the monetary value of the prizes. To be awarded the prize in the first place and to go on stage at the Monash Arts Awards and shake the Dean’s hand. That to me is the most special part of winning the award. Where would you like your music to take you? My dream is to go one step further [than my recent performance]. I got to perform in the Weill Recital Hall which is a smaller venue compared to the Isaac Stern Auditorium at Carnegie Hall. While I was there, I managed to book tickets to a Daniil Trifonov concert in the main auditorium. Trifonov was premiering his own piano concerto with the Mariinsky Orchestra. To see the Maestro live at Carnegie Hall – where the concerts are sold out and people are lining up outside, desperate to get a ticket – now that’s something special. That concert showed me that classical music is still well and truly alive. And I want to be a part of that generation that is going to keep fighting to keep the music alive. It’s only special if musicians keep performing and people go to watch concerts. That’s my dream: to perform on that stage one day to a sold out audience. I’d like to do postgraduate study as well – try to get out there and get a name for myself. Maybe try out some bigger competitions. We’ll see how we go. It’s all about building a brand at this point in time and becoming an artist. What advice do you have for students looking to study music? Monash is the place to be if you want to study music – if you’re just coming out of high school and you want to take that next step in your musical journey. This place has the right balance with the encouragement: the teachers keep pushing you, but judiciously. They’re very good at making you improve by giving lots of constructive feedback. You are driven to work hard, not because there is pressure from above, but because you want to get better yourself. There is a great support base there for you to become the best musician you can be, to be that artist you’ve always dreamed of being. Enjoy it! You’ve got to love everything you do when you are doing music. It’s one of those things where the more you give yourself to it, the more you’ll get back. That’s just how it works. You can listen to James' winning performance here. Authorised by: Chief Marketing Officer, Strategic Marketing and Communications. Maintained by: The Sir Zelman Cowen School of Music Webmaster Team. Last updated: Jan 2019.